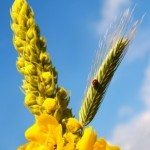 One of the most uncomfortable day to day health challenges has to be suffering through a round of hay fever every year. 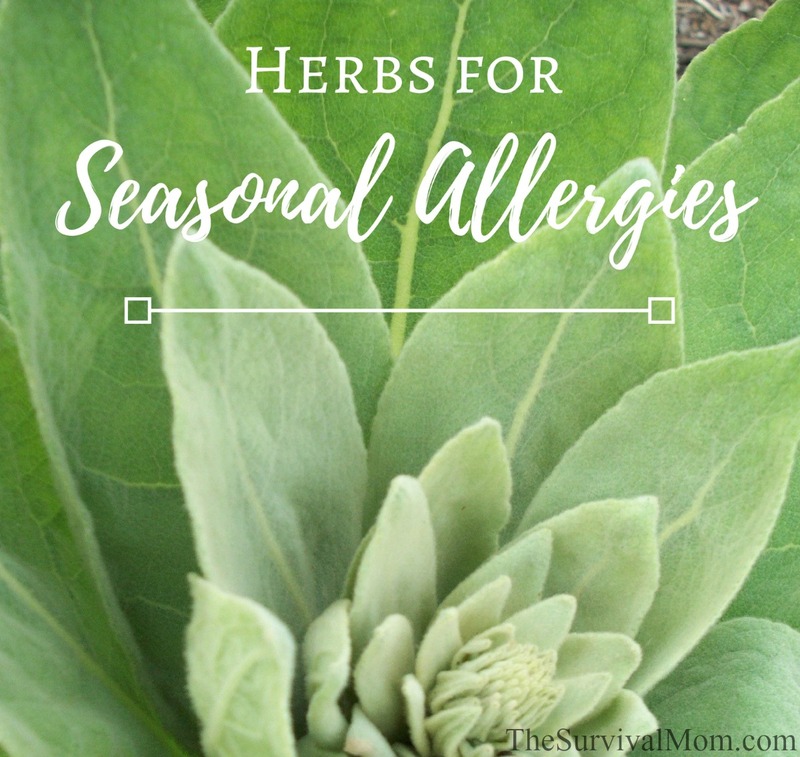 Many people rely either on prescriptions or a handful of capsules from the health food store to stay comfortable during allergy season, but herbs for seasonal allergies can be a simple alternative, and surprisingly, many of them are readily available as common weeds. Because of their weedy, grow-almost-anywhere nature, these plants make a great allergy back up plan for anyone looking for more natural remedies. Here are four of the best wild herbs to learn as part of your health preparedness strategies for allergy season. blooms. Mullein is traditionally used for allergies and dry, irritated coughs. It is also good for the lymph glands, which is a bonus for the immune system during allergy season. It usually grows in dry soil, and a good place to look for this herb when you are first learning to identify it is along roadsides. Roadsides, however, are not a good place to harvest from because they are regularly sprayed with herbicides and collect polluted runoff from the road whenever it rains. Mullein also grows in fields, and is usually happy to grow from seed in the garden. Tea can be made using either the leaves or the flowers. 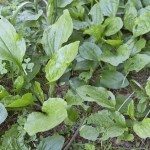 Plantain makes an excellent tea for allergy season support, and the young leaves can also be steamed and eaten like spinach. P. major (the broadleaf variety) and P. lanceolata (narrow leaf plantain) can be used interchangeably. They can often be found growing near one another, although P. major prefers low areas with damp, rich soil and P. lanceolata prefers dry- even sandy- soil. This herb provides soothing and anti-inflammatory action for the upper respiratory tract, and helps moisten delicate tissues when they are dried out and irritated. Plantain grows almost everywhere that the soil has been disturbed at some point. Look for it around homes, as a weed in gardens, and in abandoned lots. The leaves are the part of the plant used to make tea. goldenrod is those pink, watery “allergy” eyes. Goldenrod gets a bad rap for causing allergies, but usually it’s the ragweed blooming at around the same time that causes problems. 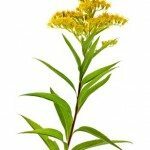 If you have had allergy testing and know for sure that goldenrod is a trigger for you, then by all means avoid it; but pesky, less-showy ragweed blooming alongside goldenrod is the culprit for most people. Goldenrod is easy to spot when it’s in bloom; the plant has a beautiful plume of bright yellow flowers. Fields and abandoned lots are two of this herb’s favorite places to grow. The leaf and flowers of this herb can be used. One of the most well known traditional herbs for allergy season is nettles. Many of the nettle preparations available at the store are fancy, freeze dried versions of the herb, but herbalists have been growing and harvesting their own for hundreds of years before freeze drying equipment came along. The young leaves from the top of the plant are harvested and dried for later use. Fresh nettles sting, but allowing the plant to dry gets rid of the sting. just be sure to wear gloves and long sleeves when you harvest. Nettles love rich, moist soil, and will happily grow in damp pastures on low ground, or along riversides; they don’t mind a bit of shade so you may also find them in open woodlands. 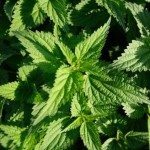 Some people find that nettle works best for them if they begin using it daily a month or so before allergy season begins. All of the herbs above can be used alone or in combination. To make one serving of tea, use one tablespoon of the herb (or one tablespoon of the blended herbs) per 8 ounces of boiling water. Allow to steep, covered, for fifteen minutes, and let cool before drinking. A few rosehips or elderberries can be added for flavor (and extra Vitamin C!). If you prefer a mint flavored tea, mix in a little dried peppermint or spearmint. Be sure to check with your doctor before using herbs, as some herbs may interact with medications or preexisting medical conditions. For instance, you should use nettle use with caution if you have diabetes or blood sugar problems.You should also discuss using nettles with your doctor if you take any of the following: blood thinners, blood pressure medications, diuretics, lithium, or drugs for diabetes. Organic dried nettle leaves, 1 lb. Just read this article from last year and wondered if you knew of a trusted company where I can order seeds for all these herbs and more. I want to create a natural herb garden in our front yard. 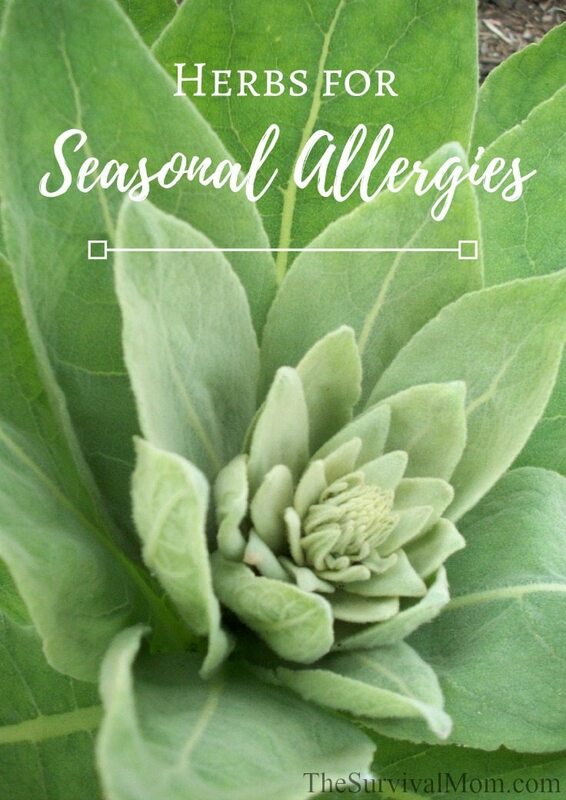 I hope you don’t mind but just as a word of caution I would like to let you know that in 50 years of using hundreds of herbs the only time I’ve had a noticeable allergic reaction to one is mullein leaf. Both with ingesting the tea made from the leaf and also from handling the powder. I had severe itching of the eyes and nose, sneezing and tightening of the chest affecting my breathing. I noticed a slight discomfort when I first opened the package and unfortunately I didn’t give enough credence to that. I used to have severe allergies in the spring to pollens, etc but that has been 99 percent better from using herbs over the years. So this took me by surprise. Interestingly the mullein flower does not seem to affect me as intensely as the leaf.